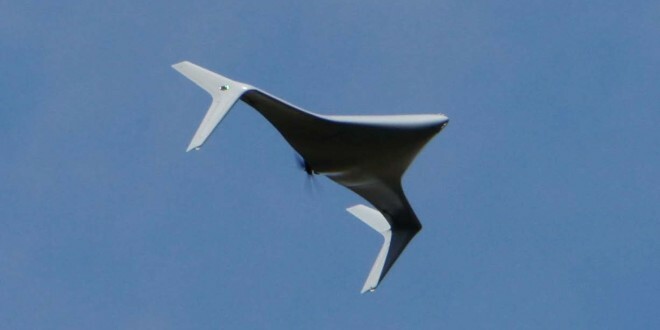 Northrop Grumman Bat 12 UAS (Unmanned Aircraft System): Catapult-Launched Tactical Low-Observable/Stealth Drone Aircraft with Blended Wing-Body for Electronic Warfare (EW)/Attack Ops (Video!) | DefenseReview.com (DR): An online tactical technology and military defense technology magazine with particular focus on the latest and greatest tactical firearms news (tactical gun news), tactical gear news and tactical shooting news. 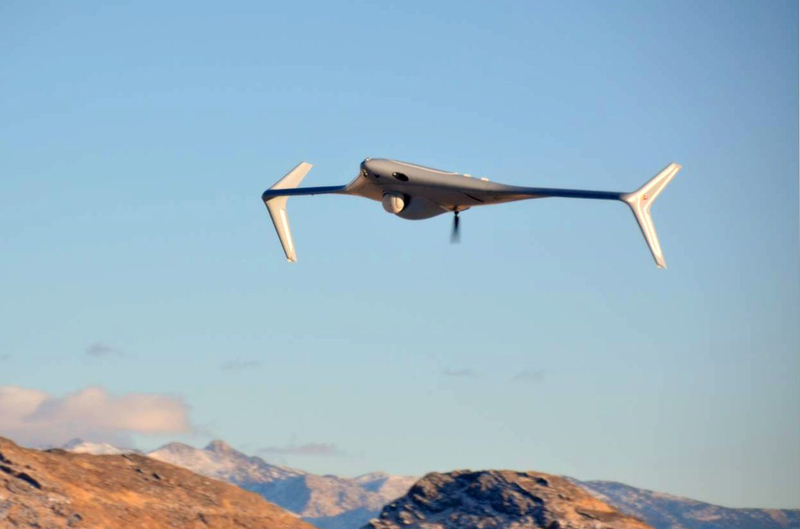 Northrop Grumman recently demonstrated their fully-automomous Bat 12 UAS (Unmanned Aircraft System) at the Marine Aviation Weapons and Tactics Squadron One Weapons and Tactics Instructor event at Naval Air Weapons Station China Lake, California. The Bat 12 is a medium altitude, multi-mission UAS/UAV with a 10-12-foot wingspan (depending on variant) and a 70-mph flight speed. It's tactical mission capabilities include C4ISR (Command, Control, Communications, Computers, Intelligence, Surveillance and Reconnaissance), counter-IED, communications relay, SIGINT (signals intellegence), EW (electronic warfare, including jamming enemy radar and missile systems) and maritime surveillance. 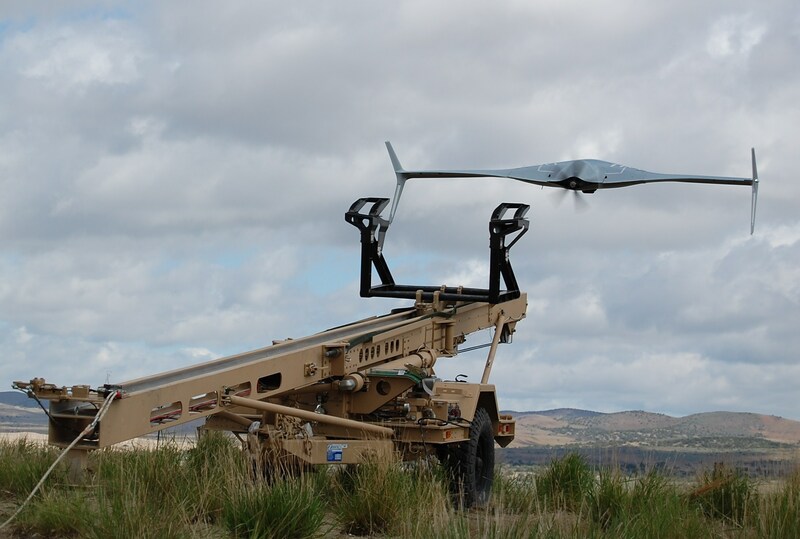 The Bat 12 UAS was essentially designed and developed to punch above its weight class, using its radar-jamming capability to execute electronic attack missions against enemy radar and SAM (Surface-to-Air Missile) systems, and do it just as well as significantly larger and more expensive UAS/UAV platforms. The secret to the Bat 12's EW capability is its Pandora electronic attack payload, a "lightweight, low-cost derivative of the company's family of APR-39 systems," according to Wired magazine. Since it's catapult-launched from a hydrauli rail launcher, it doesn't need a runway, making it runway-independent, meaning you can launch it from virtually anywhere, including ships. 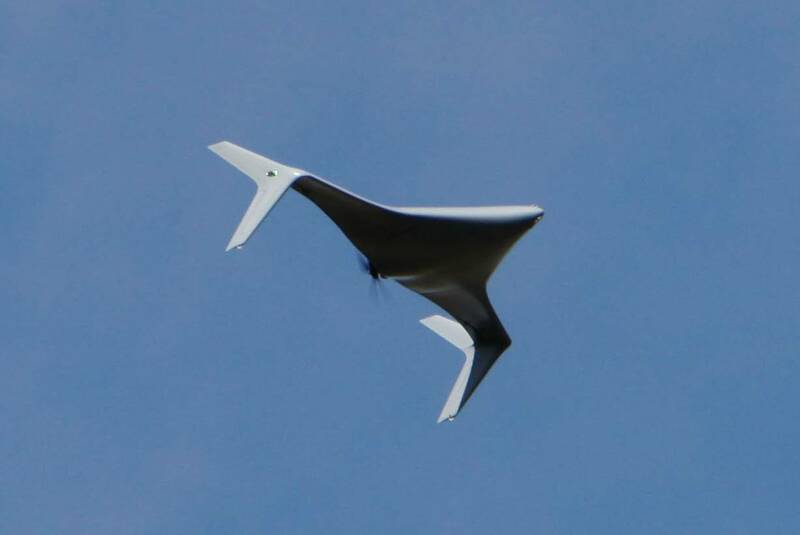 The Bat UAS utilizes a blended wing-body low-observable/stealth design. As such, it sports a larger payload volume (3.2 cubic feet) than other UAS/UAV's its size, giving it the ability to also carry more payload . The Bat 12 can carry up to 75 lbs, while the Bat 12+2 variant can carry up to 100 lbs. DefenseReview (DR) doesn't yet know who makes the Bat UAS' EO/IR (Electro-Optical/InfraRed) sensor, but it may be a FLIR Systems sensor suite (unconfirmed/unverified). 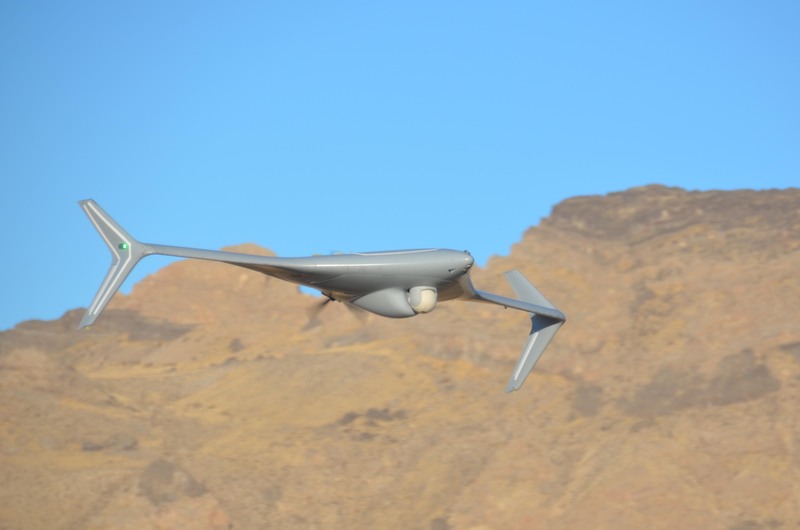 Bat™ UAS is Northrop Grumman’s family of multi-mission, persistent and affordable unmanned air vehicles that can be configured for tactical missions such as counter IED, communications relay, signals intelligence, electronic warfare (EW), and maritime surveillance. Combat-proven, Bat has been deployed to multiple forward operating bases in support of Operation Enduring Freedom. Bat has flown a large variety of payloads such as EO/IR, SAR, SIGINT, EW and Comms Relay. The Bat family has a blended wing-body design, which can carry up to 100lbs with more than 6 cubic feet of payload space. The HIRTH 2-stroke 15.8 HP EFI engine powers Bat in either a gas or heavy fuel version. 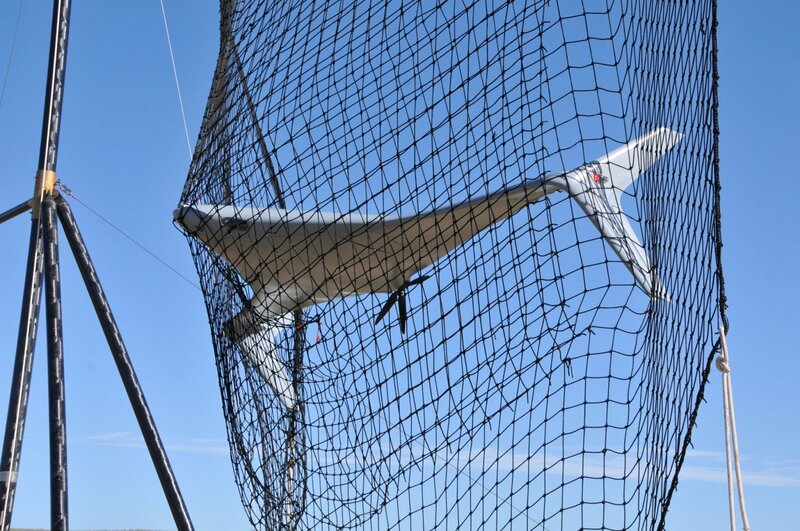 Runway-independent, ship launch and recoverable, and fully autonomous, the Bat™ UAS launches from a rail launcher and recovers into a portable net. Bat is a fully modular system using a four fastener interface for all line replaceable units, allowing quick components change or mission specific load-outs. Hub and spoke operations and multiple air vehicles can be operated from single laptops that run the Ground Control Stations (GCS). Bat is Beyond Line of Sight (BLOS) capable. The Bat and its GCS are fully compatible with the situational awareness needs of the ROVER/laptop-equipped warfighter. Bat™ is combat proven on Operation Enduring Freedom deployment. Electrical Power: Up to 1200 watts"
© Copyright 2013 DefenseReview.com. All rights reserved. This content/material may not be republished, broadcast, rewritten or redistributed without first receiving permission and providing proper credit and appropriate links. U.S. Air Force Seeking Laser Weapons for Fighter Aircraft: Air-to-Air Combat Laser Cannon Cometh? MBDA TiGER (Tactical Grenade Extended Range) Small UAS/UAV (SUAS/SUAV)/Mini-Flying Bomb/”Kamikaze Drone” for Tactical Reconnaissance and Precision-Kill Missions is Low-Observable, Seriously Lethal: Kitty’s got a temper! General Atomics MQ-1 Predator and MQ-9 Reaper Armed/Weaponized UAS/UAVs to See Competition from China? Chinese Unmanned Aircraft System/Drone Tech Catching Up. General Atomics MQ-9 Reaper UAS/UAV Retrofitted with Gorgon Stare Electro-Optical/Infrared (EO/IR) Multi-Camera System: The All-Seeing Eye in the Sky…You Look at It, You Die. Previous: U.S. Air Force Seeking Laser Weapons for Fighter Aircraft: Air-to-Air Combat Laser Cannon Cometh?